Last updated: March 20, 2019 by Rootwell Products Inc. I don’t know about you, but with some of the warmer temperatures we’ve been having in Michigan, I’m starting to get impatient for spring to come! It can be hard, in these first few weeks of spring, to believe it is really coming. Everything is brown and dull, and we’re still getting fits of snow here and there. It may be days, or it may be weeks before the tree buds start to open, and the grass begins to turn green. But you know what? I saw some of my first spring flowers starting to poke their green heads out of the ground the other day. These indispensable beauties can’t be daunted. In fact, they love the cold and rainy March weather. Whether it snows or rains in the next few weeks, they’re going to continue their slow growth and give me a bright splash of yellow and purple just as I start to despair that summer will ever come. 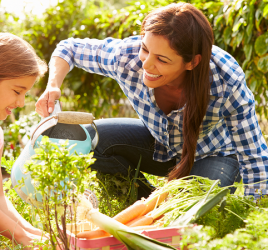 Do you have any early spring blooming plants: flowers, shrubs or trees? 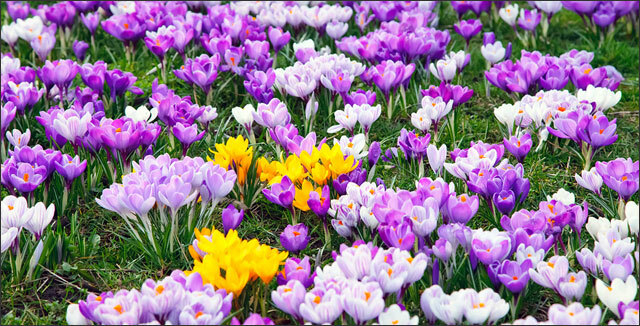 Here’s a list of some of the best and earliest blooming spring flowers and plants you can find to spread the cheer. 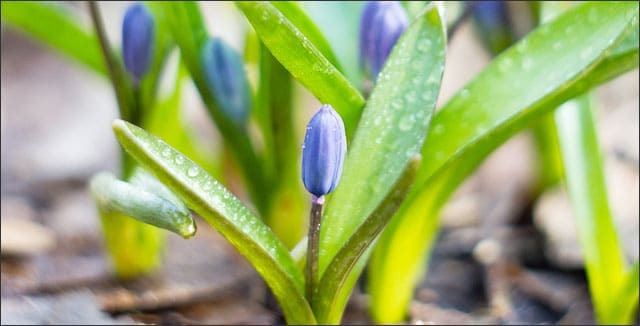 Most annual plants love the heat of summer, but there are a few you can find who like the cold of spring. These delicate blossoms love the cool of early spring, and they are ready and willing to brighten up your Easter window box or porch display. 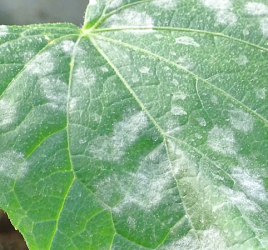 They come in many variegated colors. You can find Dianthus in most nurseries sold as an annual, but depending on which zone you live in, you can get them to come back year after year. 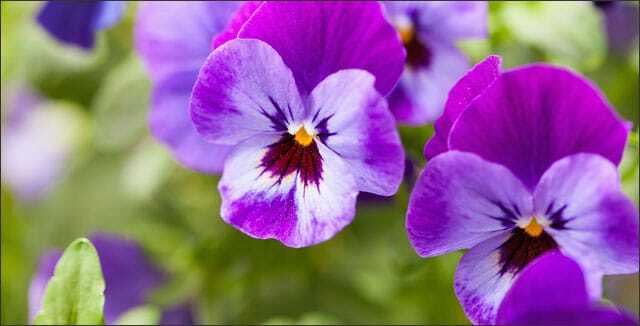 They grow in gorgeous clumps of brightly colored petals with contrasting centers. Snowdrops get their name from their habit of pushing up through the late-season snow, and they have white flowers. They are short plants with foliage that dies back by summer, so plant something else to take their place once they are done blooming. One of the most popular of all early spring flowers, Crocus pop through the snow. This plant technically doesn’t have a bulb; it’s called a “corm,” but it comes in all kinds of colors. These plants act a lot like snowdrops in that they are short and they will carpet a garden with color in early spring. Siberian squil comes in a rare blue – hard to find in flowers! Onto our taller bulb plants! Miniature daffodils bloom earlier; the taller variety blooms a little later. I don’t know many gardeners who can resist this bright yellow, cheerful bloom. These tall and lovely spring-blooming plants add a dramatic punch to your spring garden. Some varieties bloom again in late summer. Irises come in many colors and shapes, and they grow with very little care. Just remember to plant them in the fall – as with any spring bulb – as they need the cold season to develop properly. If you’ve ever been near a stream or creek bed – where the shade is deep in summer, and the snow lingers in spring – those are the ideal growing locations for this iconic bridal bouquet flower. Lily of the Valley has become famous in recent years for being the flower of choice for the British royal brides, and it’s also an icon of early spring with its delicate and fragrant white flowers that look like a string of tiny bells. If you have the right area for these, I highly recommend them. Primrose start to bloom exceptionally early in some climates, which can be a welcome colorful announcement of the warmer weather to come. 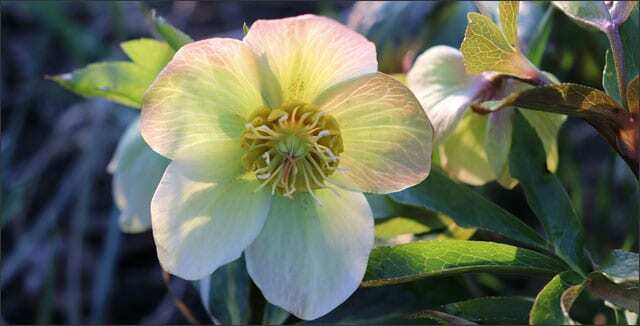 Also known as Lenten Rose, these delicately hued flowers grow during the Christian season of Lent, usually in March and April. They can bloom with snow still on the ground! Gazanias look like brightly colored daisies with stripes. They’re easy to grow, and they keep coming back every year with little effort. They flower in mid-spring, but they keep on giving color all season! Another delicate shade-loving flower is the bleeding heart, which gets its name from the heart-shaped flowers that dangle from a common stem and have drop shapes coming down from them. Plant them near your Lillies of the Valley! If you love the mountain wildflower look, lupines are the flower for you. They thrive in early spring, and their showy cones are worth the work it takes to get them loving your garden. The season’s first bees and butterflies will flock to your carpet of Gaillardias. They’re easy to grow, and they look very similar to gazanias and daisies. So-called because, like the Lenten Rose, they bloom around Easter. Pasque is the old French name for Easter. The lavender flowers are a beautiful addition to your Easter decor. Adonis will be some of the earliest flowers to bloom, bringing their yellow color to add to your purple crocus and white snowdrops! This ground cover is bigger than phlox and has white or bluish blooms. Creeping myrtle loves shade and doesn’t need very much care, so plant it around your trees and enjoy! With pale yellow flowers that bloom very early, you might consider this ground cover as a way to fill in an early spring garden that can tend to look sparse. Forsythia is one of my personal favorites. These deservedly popular bright yellow shrubs flower right away when spring has finally descended – right around when the Daffodils pop their heads up. It’s a shame they don’t stay yellow for very long, but the short few weeks of their blooming is one of my favorites all year. 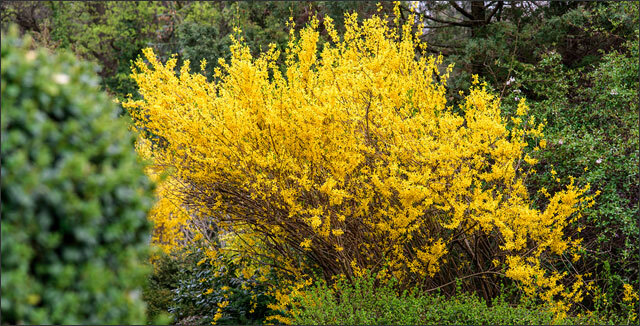 Counter-intuitively, spring is the best time to prune your forsythia. If you pruned later in the year, you would cut off all the buds waiting to bloom next year! These wild shrubs can be grown in your landscape, and they often put out their fuzzy catkins while temperatures are still well below zero. If you need an early herald of spring, these are your friend. These are one of the earliest spring blooming shrubs; at the tail end of winter or very early spring. Lovely, fragrant Magnolia trees are spring’s gift to the earth. With those huge, open flowers in shades of beautiful pink or white, they are also quite large, so with one tree, you can enjoy spring to the fullest! Dogwood blooms are just as lovely as Magnolia and as iconic. Their flowers are quite graphic and got used in jewelry-making over and over again near the turn of the last century. Any fruit tree is going to have beautiful and wonderful-smelling blossoms in the spring. However, Apricot trees sport some of the most delicate and beautiful flowers out there. If you have room to plant one you can enjoy their blooms in spring and make your own dried apricots for years to come! Hopefully, I’ve shared some plants you have never heard of before. 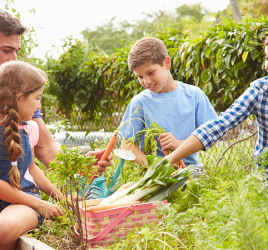 Think about incorporating some of these into your spring garden for next year – or maybe all of them – for a riotous early-spring explosion of color.